to be held in Havana, Cuba from November 19 to November 23, 2019.
and the Sixtieth anniversary of the triumph of the Cuban Revolution. The Conference and Congress are being organized by Cuban and international professors affiliated with the Division of Philosophy and History of the University of Havana and with Dr. Thalía Fung, Head of the School of “Political Science from the South” of the University of Havana. The “Political Science from the South” is a transdisciplinary initiative, including scholars in philosophy, political science, economics, history, anthropology, and sociology. It seeks to develop an analysis of human history and political dynamics from the perspective of the global South, endeavoring to develop insights that are relevant to political strategies of the nations and social movements of the Third World. Papers can be presented in English or Spanish. Simultaneous or consecutive translation will be provided for papers presented in English. Paper proposals (in English or Spanish), including a paper title and a summary from 250 to 450 words, should be sent by October 1, 2019 to Charles McKelvey (cemck@presby.edu). Please send the abstract in a Microsoft Word document, with your name, position, institutional affiliation, city, country, and E-mail address placed at the top of the page. Paper proposals sent prior to October 1 will be evaluated by the Organizing Committee as they are received, and a decision will be sent in no more than 30 days, accompanied by an official letter of invitation for accepted proposals. Subjects and actors of change in the current epoch. Political elites and their intentions in Latin American and the Third World. Transnational corporations and their objectives in the neocolonized countries. Women and the Third World. The political thought of the South. Communist, socialist, and progressive parties in Latin American and the world. The relation between the political society and the civil society in the world today. Changes in the political system of the nation-state today. International relations and national public policies. Technology, power, and the environment. The Left and the Right in Latin America. Socialism in the Twenty-First Century. Social movements of the North. Philosophical thought and the original cultures of America. Philosophy and the Cuban cultural tradition. Philosophy and its role in the problems of the present world. The role of epistemology in the scientific debate on Truth. Philosophy and technology: artificial intelligence, robotics, biotechnology, transhumanism, bioethics and the environment. The socialization of new values. The philosophical dimension of inclusion. U.S. regulations with respect to Cuba permit attendance at professional meetings or conferences in Cuba relating to a traveler’s profession, professional background, or area of expertise. 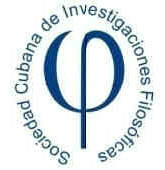 9:00-1:00 Political Science from the South: Interchange with Cuban historians, social scientists and philosophers of the Cuban Society of Philosophical Research.